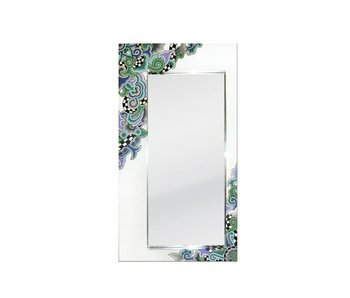 Handcrafted mirror from the Toms Drags collection. The frame is shaped like half a bamboo stalk. Size: 50 x 70 cm. Material: fiber / Marmorin. Handcrafted mirror from the Toms Drags collection. The frame looks like half a bamboo stalk. The mirror can be hung horizontally or vertically. 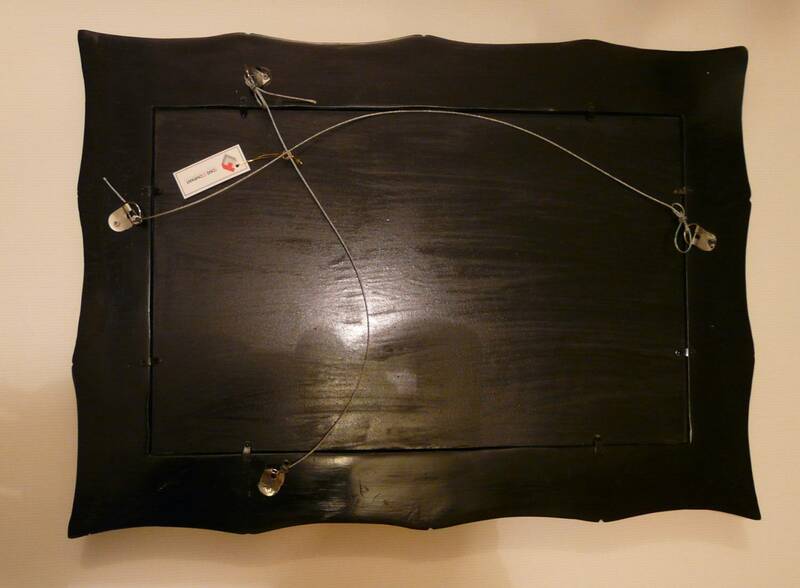 At the rear there is a metal wire which can be used for hanging. This can be both horizontally and vertically. 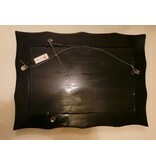 The Bamboo mirror has an authenticity logo Toms Drags. For shipping outside the Netherlands and Belgium, the mirror will be shipped without it's glass. When it breaks during shipping it will damage the frame. Mirror glass is relatively cheap to replace. 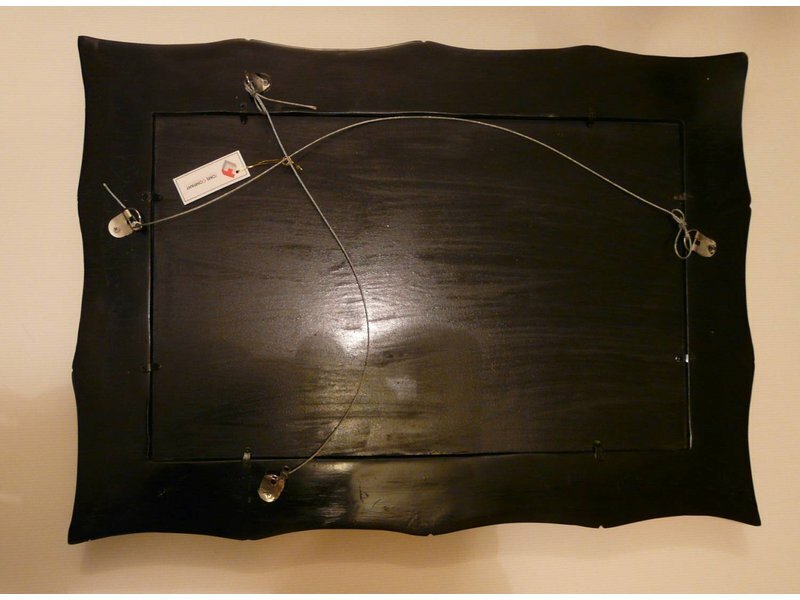 Replacement is easy by opening a hatch at the backsite. Mirror Bamboo is added to the collection in 2017. 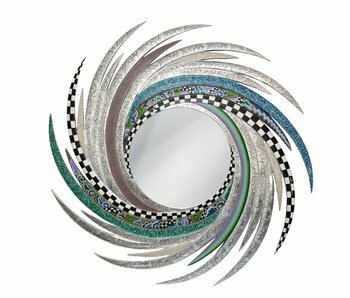 Mirror New Energy is a large, handmade round mirror with silver feathers, rhinestones elements and bright colors and patterns of the Toms Drag Silverline. Diameter: 105 cm. Material: fiber. Mirror Oval Versailles, part of the Toms Drags Silver Line. Size: 65 x 90 cm. Handmade and hand painted. Material: marmorin / glass. 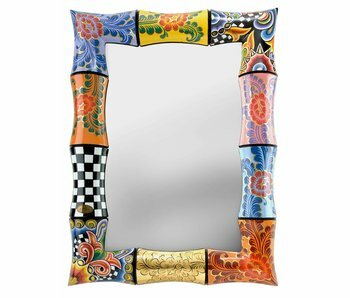 Very nice, colourful Drag mirror Bamboo, made of handpainted fiber/marmorin. A real eye catcher, designed by Tom Hoffmann! Mirror Almeria is a white, square mirror and part of the Silver Line Toms Drag. 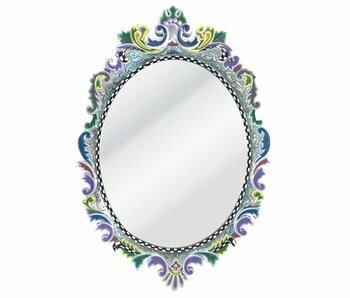 Two corners of the mirror are painted with typical Drag patterns. Size: 60 x 60 cm. Material: wood (MDF).